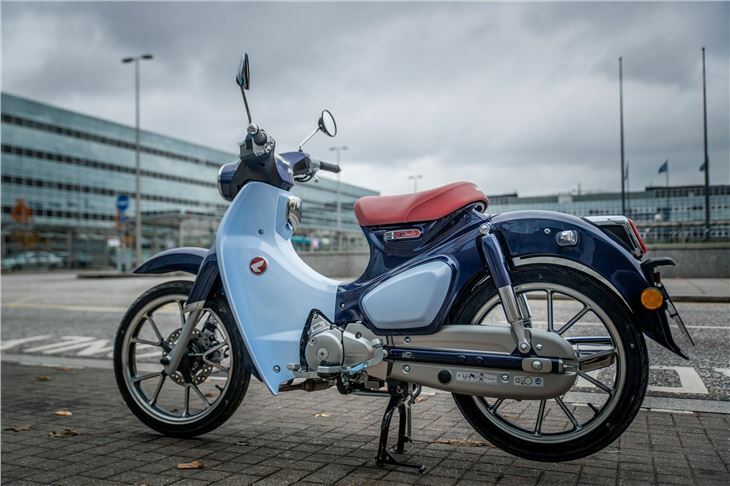 Simply put, the Honda Super Cub is the latest incarnation of the world’s best-selling vehicle. 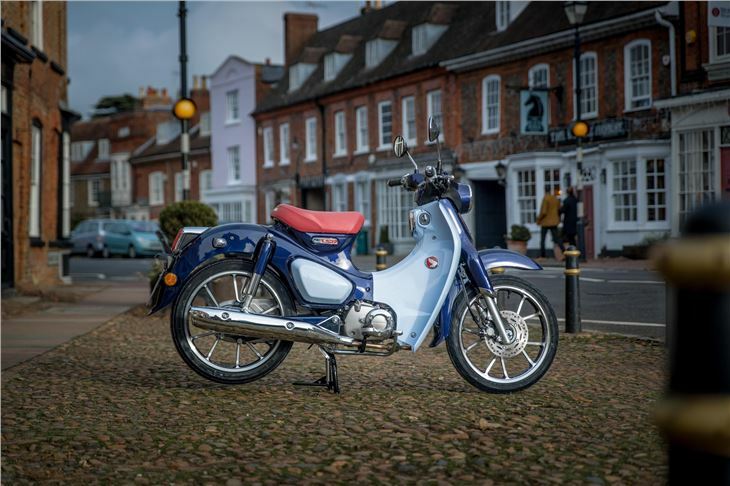 In one guise or another, the Cub has notched up sales of more than 100 million since the first one puttered off the line in 1958. 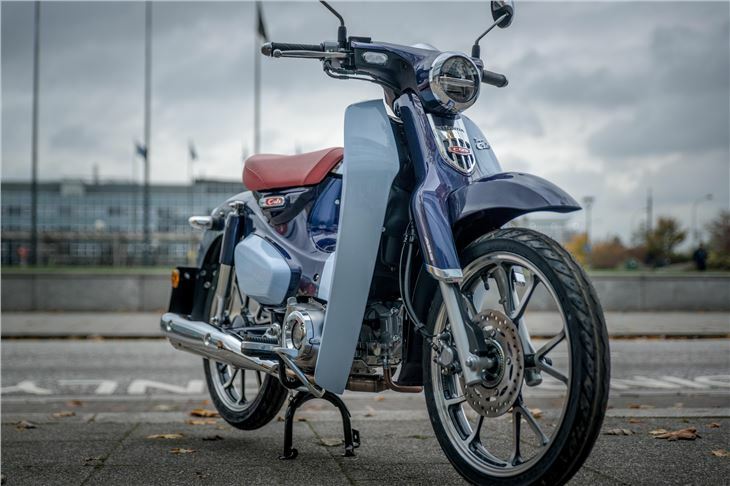 This latest version comes with a clean, green 125cc air-cooled engine and claimed economy of 188mpg, so it exceeds its ancestors in power and frugality. What it continues to share is Honda’s four-speed gearbox and automatic centrifugal clutch transmission. That means you press down with the ball of your foot to go down a gear and use your heel to swap up a ratio. Old school, but effective nonetheless. 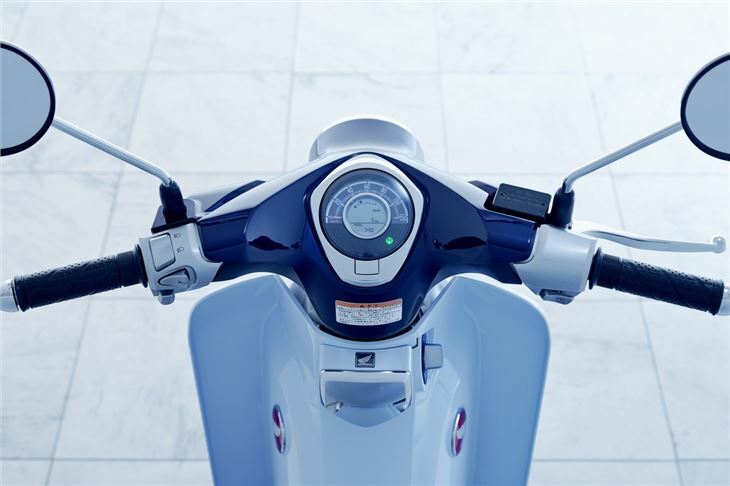 Many will be drawn to the Super Cub for its looks and classic flair. 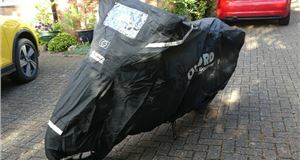 It’s also good to ride, but it’s not as practical or versatile as many of its twist-and-go modern rivals. There’s no underseat storage for the Super Cub or even a pillion pew. However, it’s fun to ride and the ageless design makes it an attractive city bike. Let’s set the looks and heritage of the Super Cub to one side and begin this assessment from a purely objective point of view. In this harsh spotlight, the Honda could look like a triumph of style over substance. However, the high-grade feel of all of the materials used to build the Cub convince us that it will last a long time and better put up with the sort of neglect that many urban-based machines have to endure. On top of that, the Super Cub should be cheap to own and run. The sticker price is a bit higher than some competitors, but it will also retain its value more doggedly. Or you could lease one at surprisingly low cost to take the sting out of full ownership. 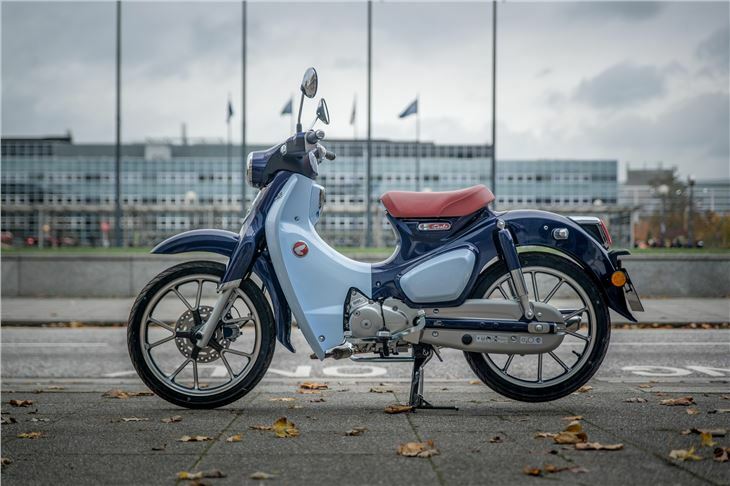 Fuel consumption is claimed at 188.2mpg, so the Super Cub is on a par with the Monkey that it shares its 125cc air-cooled engine with. A big difference, however, between these two Honda machines is the Cub has a significantly smaller fuel tank at just 3.7-litres. So, you’ll likely need to fill up the tank every 140 miles or so if you ride frugally. Access to the fuel filler is a little awkward as you have to press a release button tucked away under the left-hand side of the single seat. With gloves on, it’s a bit of a faff, but at least the miniscule tank is quick and cheap to top up. 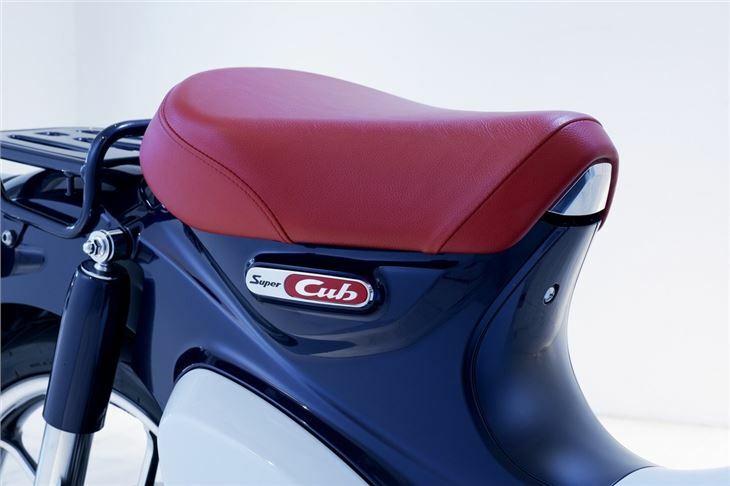 Mention of the seat prompts us to point out the Super Cub has no provision for a pillion. There’s not even a double seat on an options list, so this is strictly for the rider to enjoy. The space behind the comfy chair can be used to fit a luggage rack, which is a handy addition we’d want. 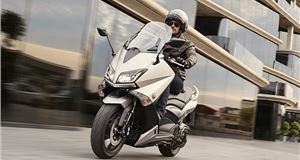 Otherwise, there’s no other storage on or in the Super Cab, which is again another mark in the minus column when comparing it to scooters such as Honda’s own SH125i or the superb PCX. 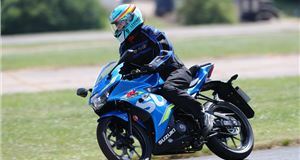 One other demerit from the rider’s position on the bike is the handlebar-mounted mirrors don’t offer much rearward vision other than of our elbows. 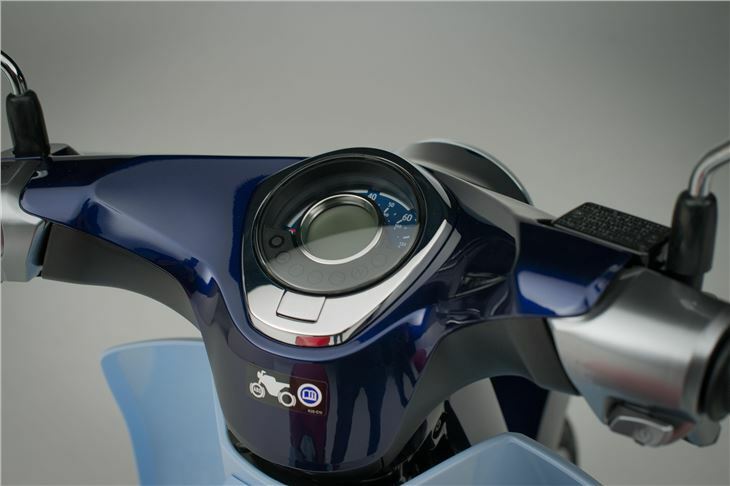 Delightful as they are, we’d rather see more of what’s behind the bike, but at least the single dial dash display is easy to read as you glance down. 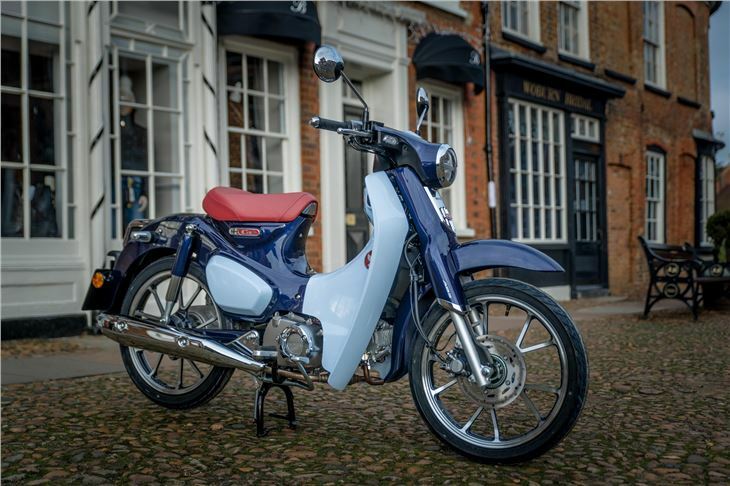 So, the Super Cub is a clever marketing ploy for those who want a classic machine without the hassle of old engines, weak brakes and feeble electrics? Well, it certainly manages that and more. For starters, the engine is peppy around town, allowing you to nip away from cars when the lights turn green. 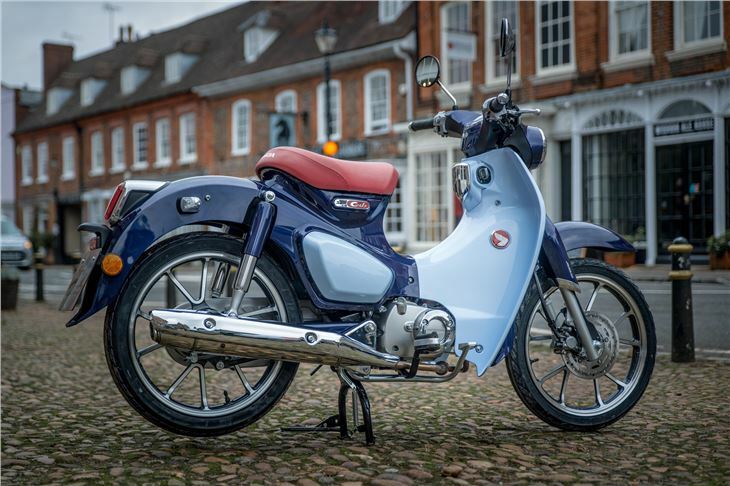 Up to 40mph, the Super Cub is a spruce performer and the four-speed gearbox is very quick and simple to use as you don’t have to worry about juggling the clutch for perfect take-offs. 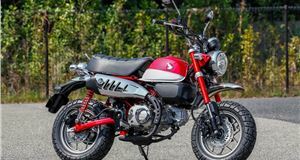 Faster roads show up the limitations of a 9.7PS engine, but no more than they do with any other 125cc commuter bike. Stick to the city and the Super Cub is truly in its element. 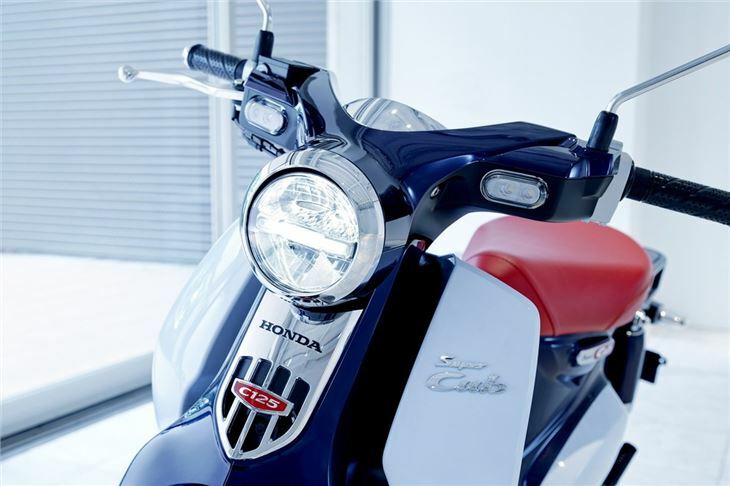 The 17-inch wheels are bigger than most of its obvious rivals, giving it a plusher ride over most bumps, and Honda has ditched the leading link front suspension featured on earlier Cubs in favour of a telescopic fork. The result is predictable, stable handling that lets you hustle this 109kg machine through traffic like a guided weapon. The steering has plenty of lock, the weight is carried down low and the ABS-equipped front brake gives plenty of feel and confidence. 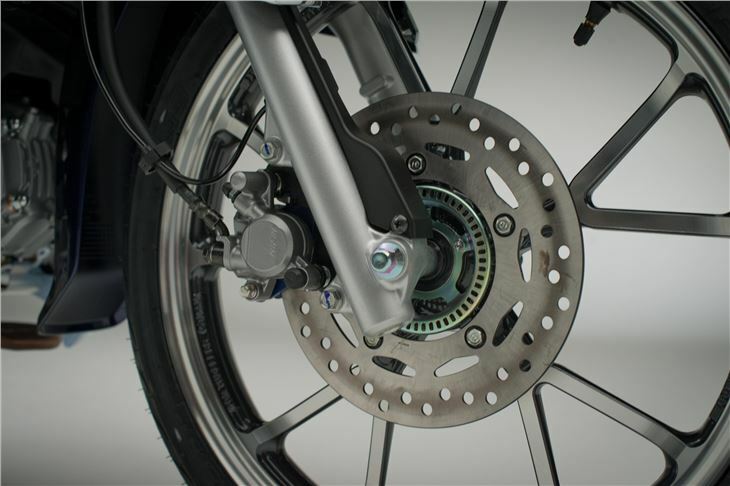 A rear drum brake also works in harmony to balance the machine in low-speed manoeuvres. The latest chapter in the Super Cub story is not without its drawbacks. 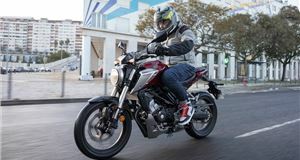 It misses the practicality of many in the 125cc commuter class by not offering secure storage, though it does come with an alarm and immobiliser as standard. Nor is there a pillion seat, or even the option of one, so this is a solitary experience. However, it’s an experience to be enjoyed as the Super Cub handles very well, deals with battered city streets very ably and slices through traffic with deft skill. 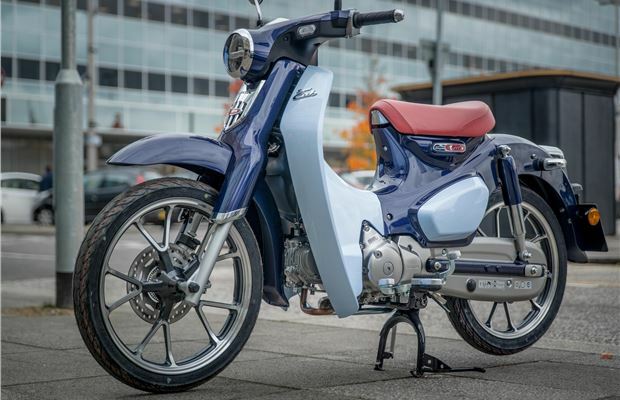 We wouldn’t recommend the Super Cub over Honda’s own SH125i, but it is an alluring alternative for those who value fun over pure convenience. Performance: Top speed 65mph. Fuel consumption 188.2mpg (claimed). VED £19.